Italeri - Nr. 6701 - 1:72 PARATROOPERATTACK Wargame Operation Overlord Normandy 1944 Expansion Pack. > Byggesæt>Udgået Og Specielle>Italeri - Nr. 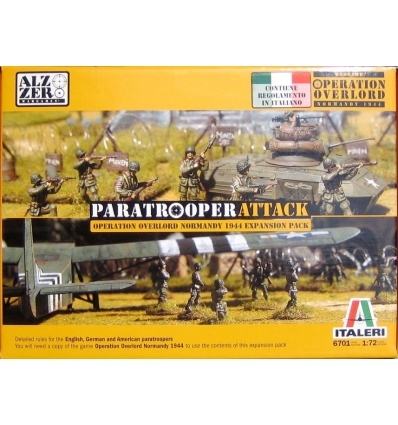 6701 - 1:72 PARATROOPERATTACK Wargame Operation Overlord Normandy 1944 Expansion Pack.